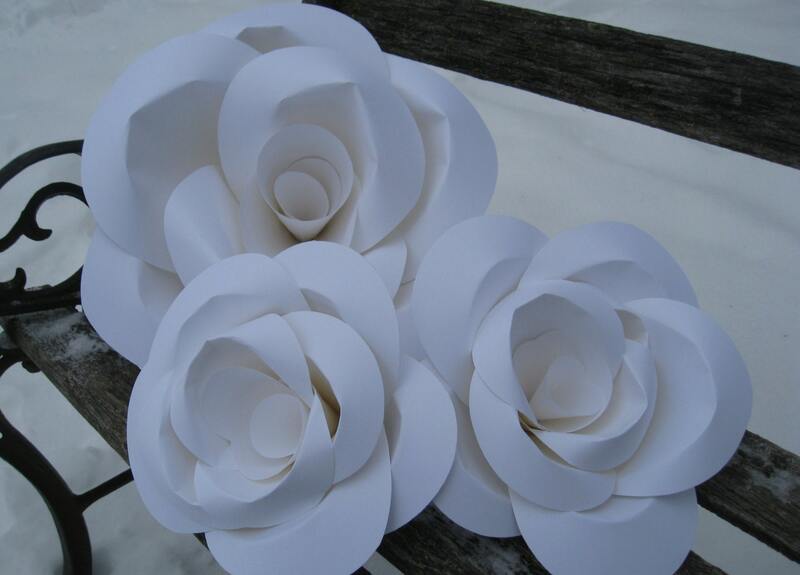 HUGE Paper Roses, Wedding Decoration. You CHOOSE The COLORS. Huge Rose Decoration. Custom Orders Welcome. 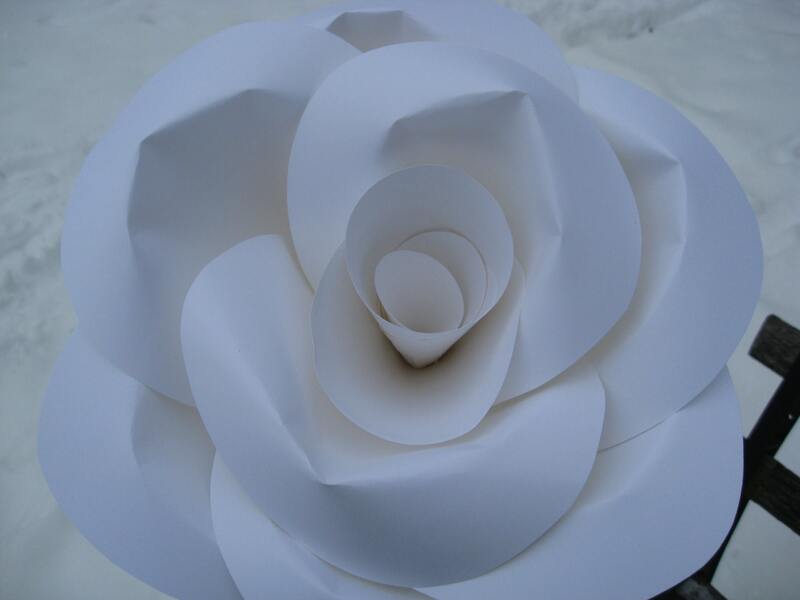 These huge paper roses look wonderful at any wedding or event. Each one is carefully cut and assembled by hand. 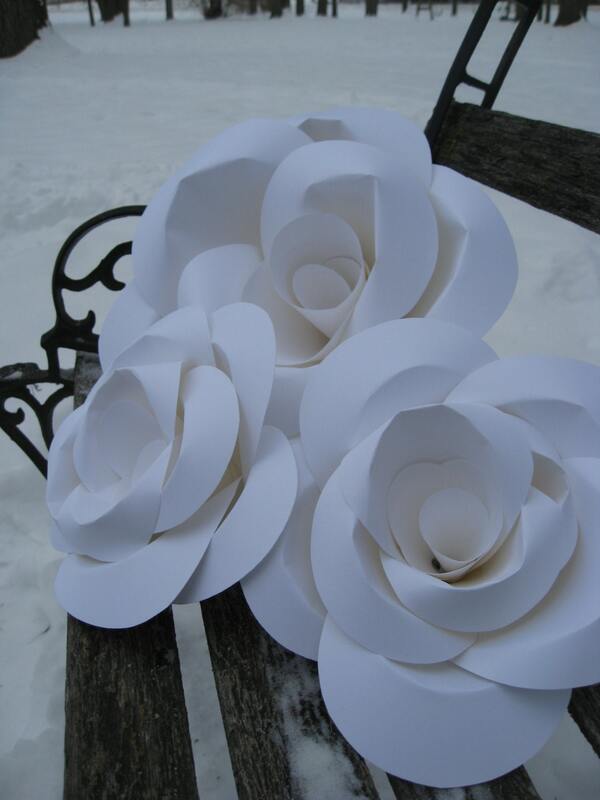 You will receive three flowers: two small and one large. 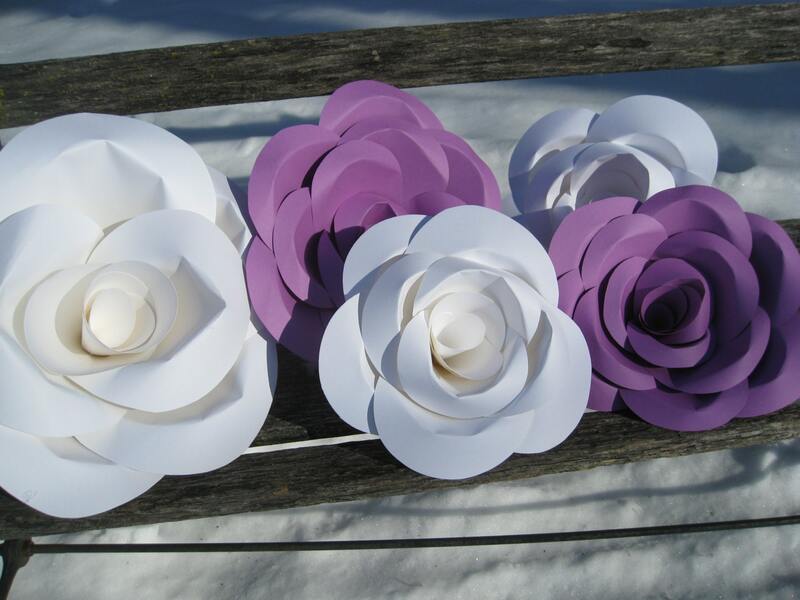 The large flower measures about 13" across and the smaller flowers measure about 9" across. 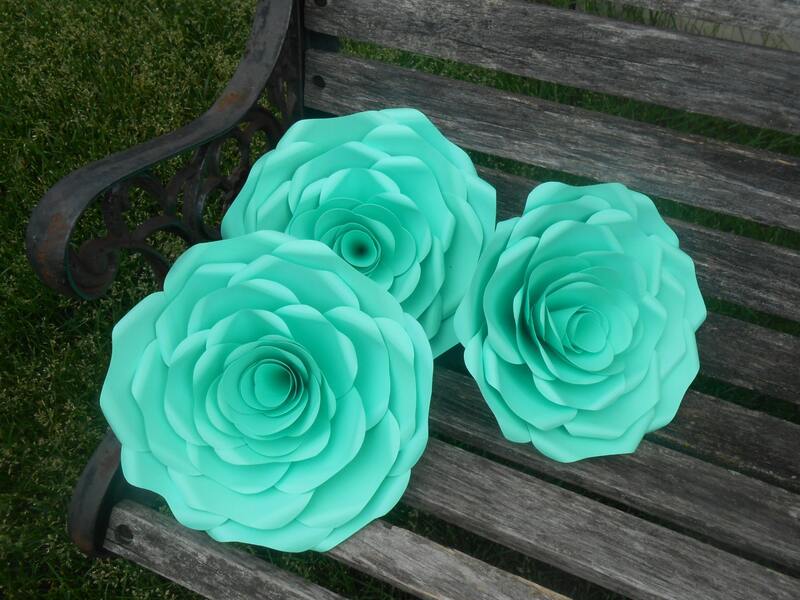 These look great on tables, or on tents, or anywhere you want to put them. They have a rustic, but wonderfully elegant feel to them. I can do these in lots of sizes, in any amount or COLOR! I am more than happy to do custom orders! *** PLEASE LET ME KNOW AT CHECKOUT WHAT COLORS YOU WOULD LIKE! Please allow 3-5 days for me to make these. If you need a rush order, please contact me and I will see if I can help you.